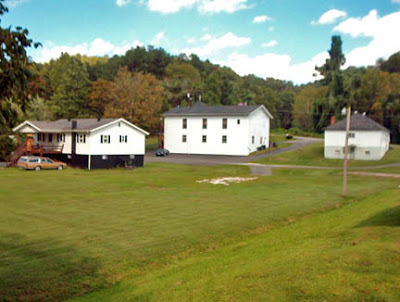 The Happy Church in Jackson, Kentucky (Mike Tabor, pastor) closed on a deal February 5 to purchase a parcel of land on the Kentucky River with three structures: a church building and two homes. The Grace Brethren church began just four years ago in a family’s basement, grew to a storefront where they have met for the last three years, and now have grown into the need for a larger building with parking and rest rooms. Tabor says the property also includes a vacant home which is structurally sound, but basically needs “gutted” and remodeled on the interior, plus a new roof and paint on the outside. At the very back of the property, he says, is a small bandstand complete with electrical outlets, that will power The Happy Church’s future outdoor concerts. Just behind the bandstand is the Kentucky River which, along with the Appalachian mountains, makes for a “very picturesque site,” Tabor says.